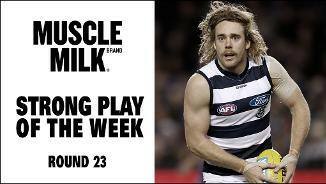 Cam Guthrie's double effort has earned the Muscle Milk Strong Play of the Week for Round 23. 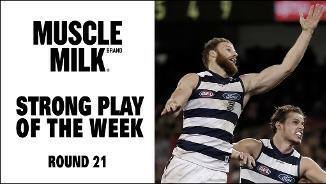 Mitch Duncan has earned the Muscle Milk Strong Play of the Week for Round 22. 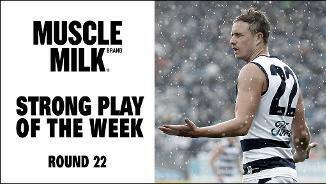 Lachie Henderson's high-flying pursuit of the ball has earned him the Muscle Milk Strong Play of the Week. 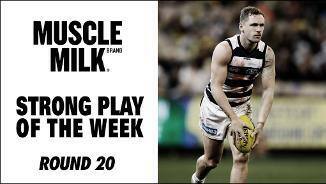 Joel Selwood's never say die attitude and relentless attack on the ball has earned him the Muscle Milk Strong play of the week.